Great new Polos designed with Cool Touch high performance 4 way stretch Pique fabric in fresh spring colours and super smart contrast details. 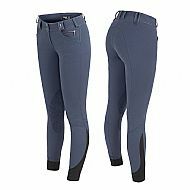 Cool Touch fabric has a soft cool hand feel ensuring you are comfortable, stylish and smart both in and out of the saddle. 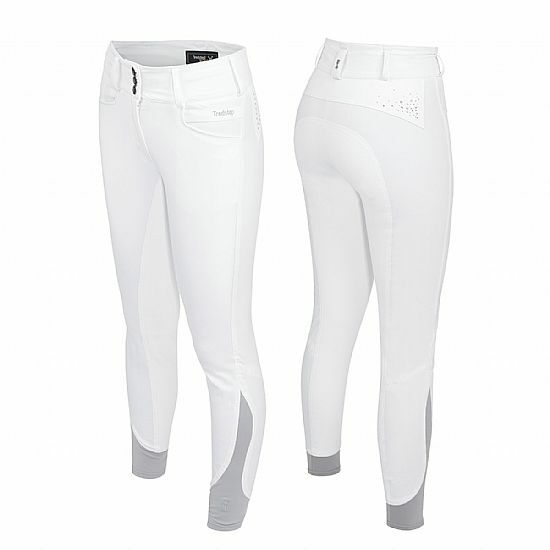 A beautifully presented breech that is perfect for the Dressage arena. 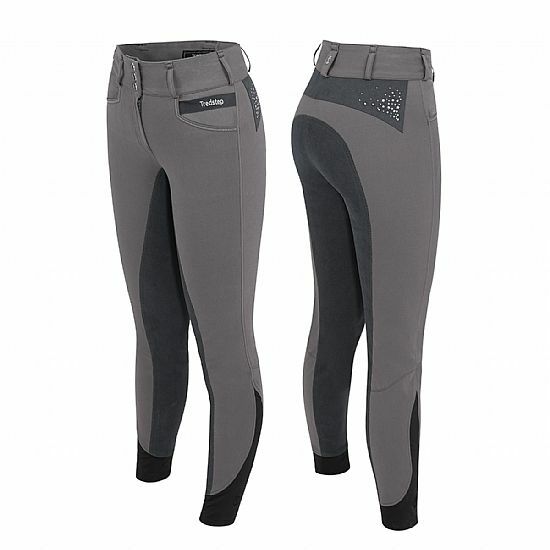 Designed with attention to detail and a High waist fit, stunning crystal accents expressed in exclusive Tredstep Strategy 4 way stretch fabric coupled with the benefits of Schoeller Nanosphere stain resistant technology. 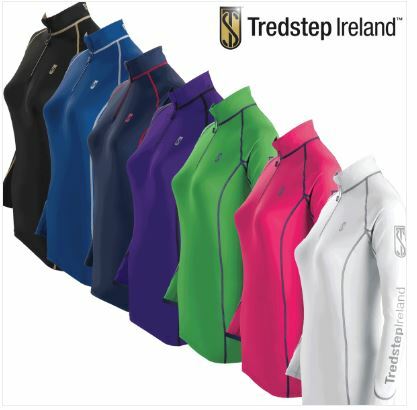 All these elements are based around Tredstep’s signature Motion Fit Design for complete freedom and comfort allowing you to focus on your performance. 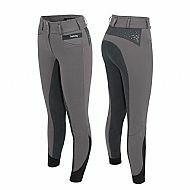 Tredstep’s Motion Fit design combined with Tredstep Evolution fabric results in a range of high performance breeches which are dynamic yet traditional, stylish and beautiful. 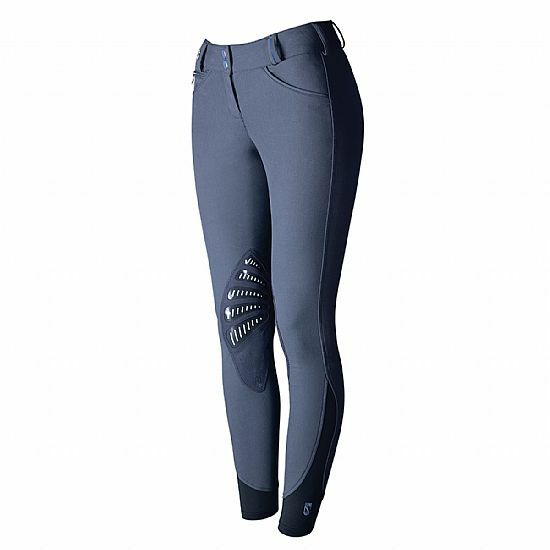 The Symphony Azzura Pro presents the latest technologically advanced materials in the form of silicone which is integrated into the knee patch. This provides an enhanced grip and shields from saddle friction while increasing flexibility and movement in the knee area. 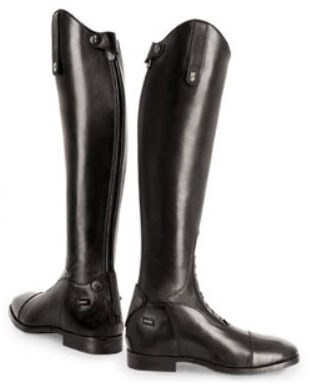 The Donatello SQ is handcrafted using premium full grain nappa leather and supple leather lining. It has a classic European top line, side spur rests, rolled toe cap and swagger tab with a full length heavy duty ykk coil zipper. It is fitted with a moulded sport high impact cushioning footbed with a dry-lex moisture wicking top layer and a forked Bartoli composite mid sole with an advanced shank providing stability and reducing foot fatigue. A neatly trimmed ribbed outsole provides balance and stability at all times. 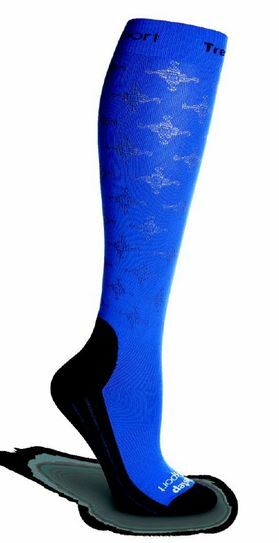 A new design combining beautiful premium leathers with lightweight and flexible perforated Neoprene, the Medici Air will ensure a perfect fit to all contours of the leg for close contact and exceptional comfort. 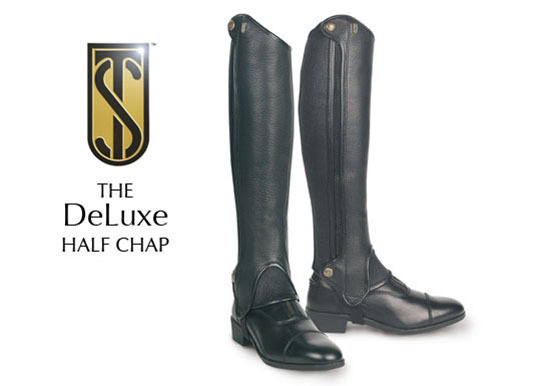 The striking textures, curve design and modified side zip placement merge in harmony to produce the latest generation in Tredstep’s world famous half chaps. 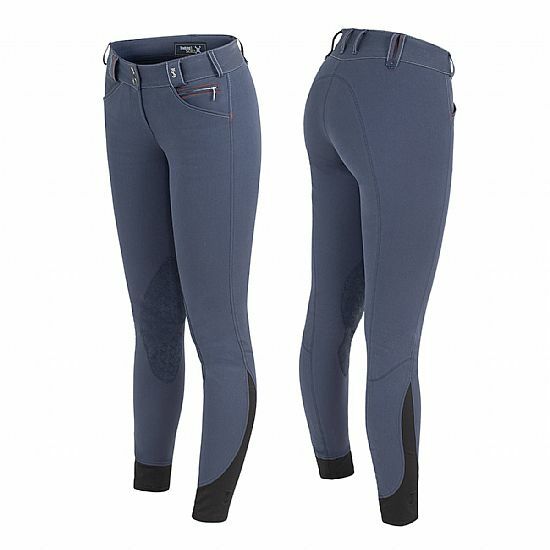 Complete with an elegant eye catching logo and super strong size 10 zip, specialized mesh lining, the Medici Air brings a refreshing vibrancy to half chaps. 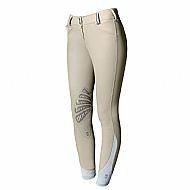 The soft oiled full grain leather enables the legging to mould to your leg while maintaining full flexibility and a secure feel. 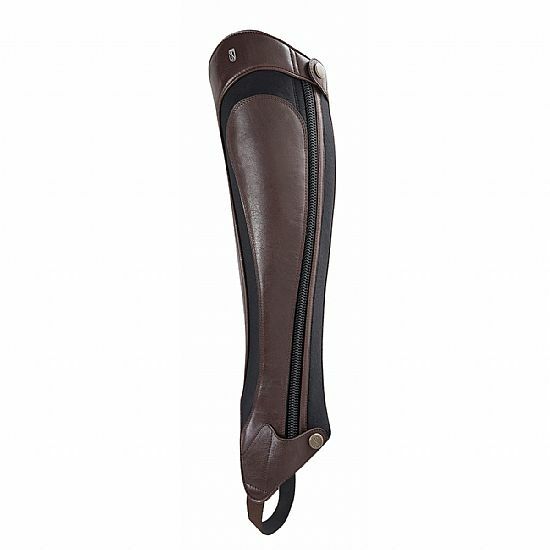 Fully leather lined and fitted with an outer stretch panel alongside a rear zip. A truly stylish legging with an elegant top line. Tredstep da Vinci Field Boot, as the name suggests, represents the fusion of innovative design with beauty of line and proportion. This harmonious blend of traditional elegance and leading edge design makes the da Vinci boot a true masterpiece from Tredstep. 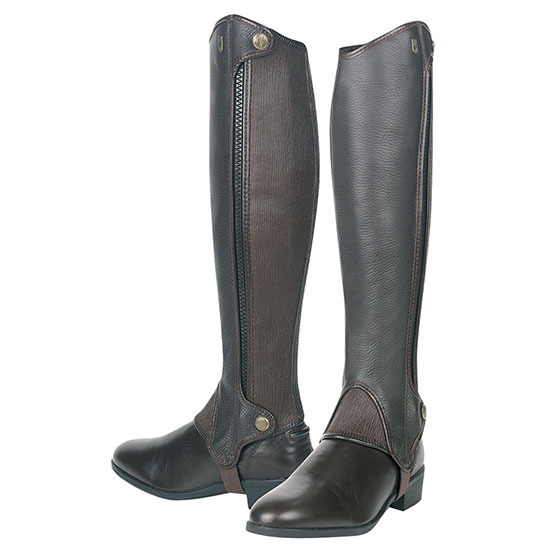 The Tredstep Pro-Flex design allows immediate full flexion of the ankle without the need to break in the boot. The da Vinci is made from exquisite Italian calfskin leather with full grain leather lining, and a specialist high performance Vibram outsole. The full length rear zip is supported by a flexible spine which maintains the height and elegant long line of the boot. 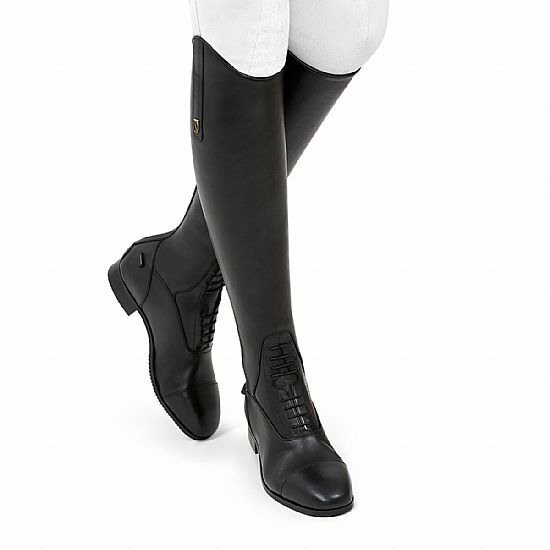 The da Vinci sports a classic European top line, side spur rests and zip guard. Tredstep’s Classic Motion Fit design combined with Tredstep Evolution fabric redefines traditional standards resulting in a range of beautifully balanced, classically styled high performance breeches which are in-tune with the movement of the horse and rider. 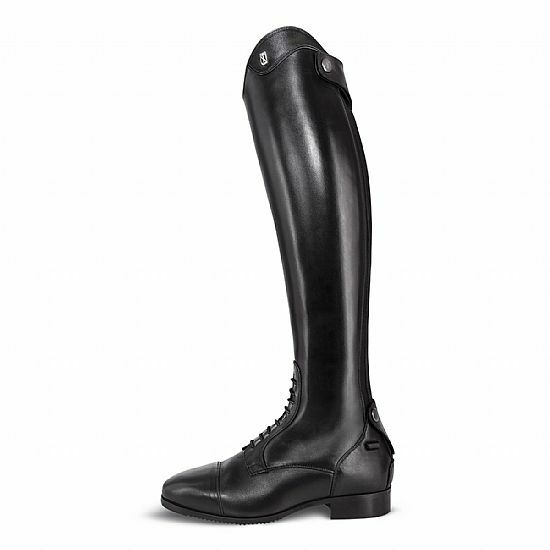 Individual design elements combine to ensure the rider is always dressed to perform with confidence and style. Styling Features include, Full Seat, Modified Mid Rise, Colour Coded Buttons & Details, Branded Front Belt Loop, Branded Rear Belt Loop and Slanted Front Pockets. Motion Fit Design (Integrated cuff, Definiton Waistband and Articulated Knee Patch in Tredstep Evolution and Schoeller NanoSphere Fabric. Styling Features include Euro Seat with Knee Patch, Modified Mid Rise, Colour Coded Buttons & Details, Branded Front Belt Loop, Branded Rear Belt Loop, Slanted Front Pockets. Motion Fit Design (Integrated cuff, Definiton Waistband and Articulated Knee Patch) in Tredstep Evolution and Schoeller NanoSphere Fabric. 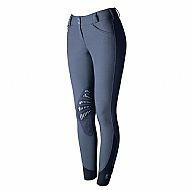 Tredstep's exclusive AIRSILK 4 way stretch fabric converts perspiration to cooling energy keeping you free to ride with confidence. 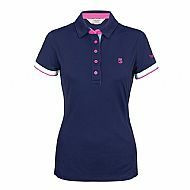 Exquisitely detailed with a crisp woven collar and hidden snap closures, flattering seams and ribbed side panels. 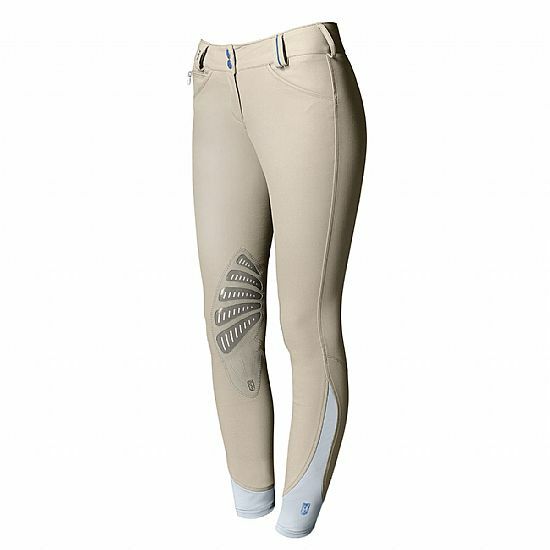 A soft silk feel against your skin for perfect performance and style in or out of the ring. Designed to meet the demands of the competition rider. Made in Italy using the latest in advanced performance yarns combining unparalleled function with stylish detailing. A cushioned foot utilising revolutionary Deocell fibres neutralize odours while wicking moisture, humidity and perspiration away from the skin.